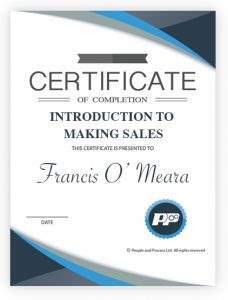 This introductory course will provide an overview of the Making Sales Course. It will explore why sales are so critical for a business and will examine the key qualities needed to be a successful sales person. The module also outlines the preparation and planning needed before sales calls. This course is perfect for anyone working in sales who want to improve their knowledge, further their career and work towards a professional qualification in sales. 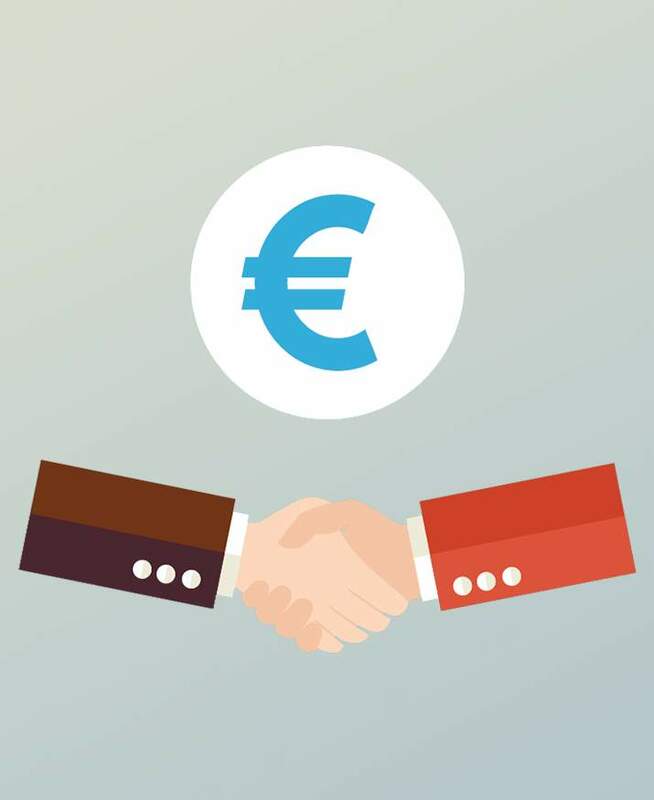 This course is also suited to people new to the area who want to learn the basics of sales. We’ll provide you with an excellent basis from which you can build your knowledge of and experience in sales. This particular course consists of 5 number video lessons organised into one module. Each video is approximately 4 to 11 minutes in length. At the end of each video lesson there is a quiz that will test your knowledge of the material. On successful completion of this course all students will be awarded a People of Process Certificate of Completion. This certificate confirms you have completed all the video lessons for every module and fully met all the requirements of the course. 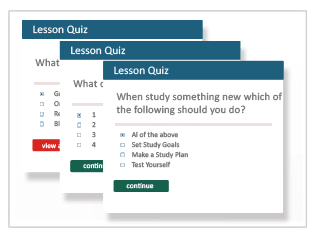 Each lesson in this course has its own assessment quiz. These quizzes will test your understanding of the course material and your ability to apply the knowledge learned to real world marketing situations. It is recommended that you watch the video lesson several times and study the lesson transcript before attempting the quiz.